Upgrade any bathroom with its boring, run-of-the-mill tub to a mini-spa with this stylish acrylic whirlpool bath. Relax against its molded back and built-in armrests. Treat yourself to your favorite bath product and relieve the stress of the day as the seven hydrotherapy jets massage your weary muscles. All without breaking the bank. This whirlpool bath is versatile. 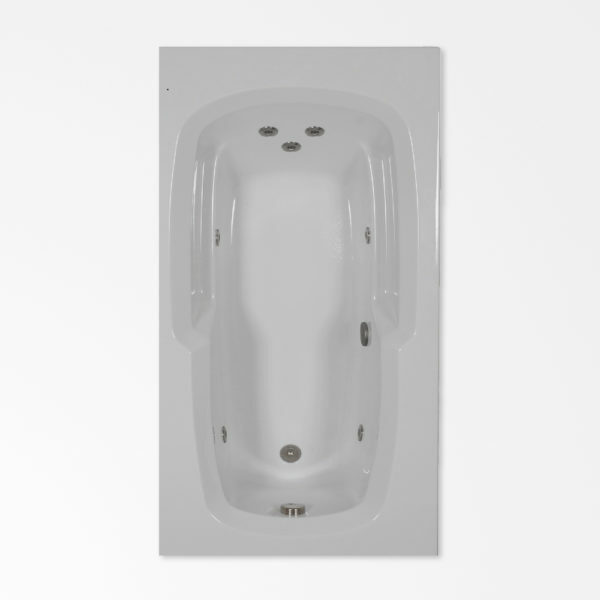 Its 60” x 32” dimensions match standard tub sizes, making it ideal for small to modest-sized bathrooms, but its added depth makes it anything except standard and allows for complete body coverage. Because of its size, it’s ideal for a bath-shower combination, and it fits the standard bathroom alcove. A flat deck ensures water from the shower flows back into the basin.